Signed by famous maker, "Sonora," this floor model wind-up phonograph is in fine playing condition. The beautiful mahogany case has been revarnished, the interior still has the gold Sonora insignia. Hardware is original nickel over brass, there are speed, volume and automatic shut off controls. 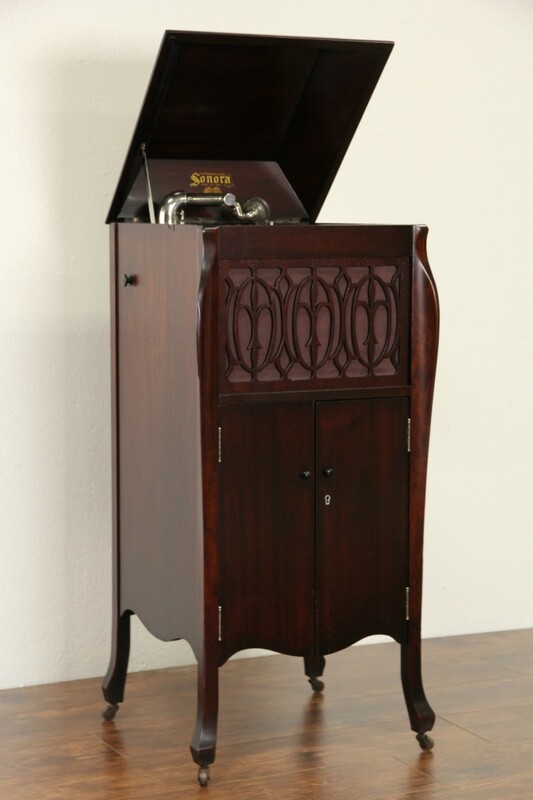 An album of 78 rpm records is included with this American made antique record player. Detachable wheels are original. Measurements are 20" wide excluding the removable winding crank, 19" deep and 45" tall when closed.